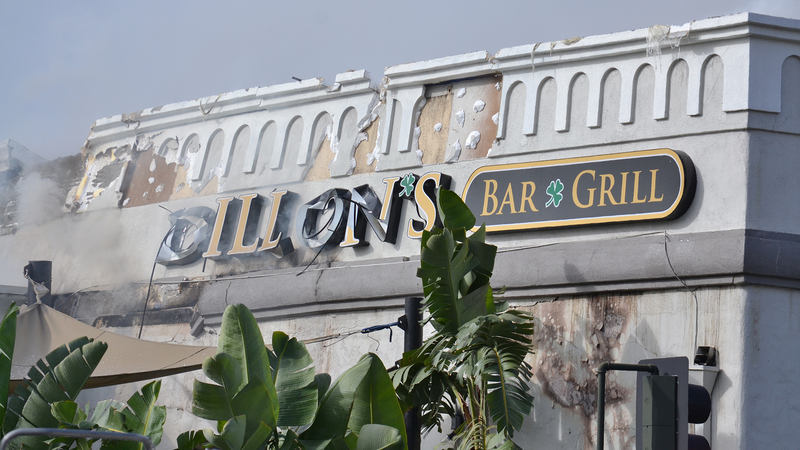 Fire damage on the Dillon’s Bar and Grill sign. 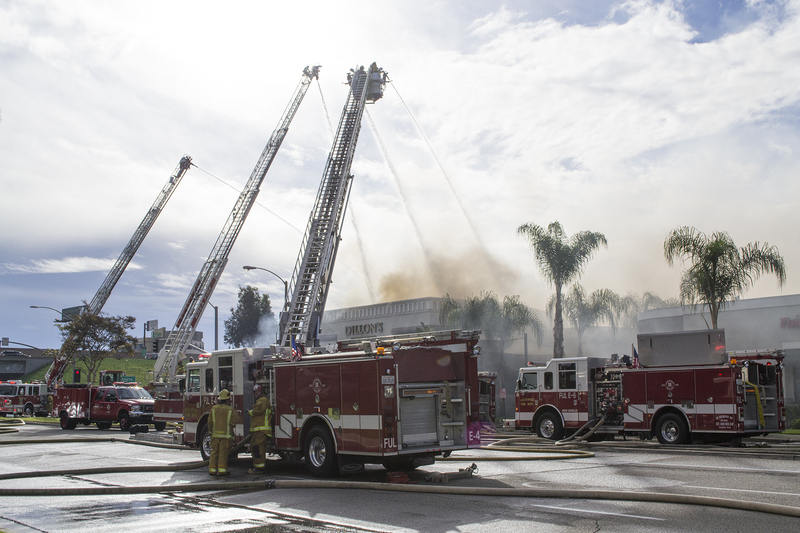 Update: A portion of Nutwood Avenue, as well as the 57 South on-ramp, next to Cal State Fullerton were scheduled to be closed on Monday as the investigation into the fire continues, according to the university. Published at 10 a.m. Sunday, March 1, 2015. FULLERTON – Fire officials are investigating a four-alarm fire that struck Dillon’s Bar and Grill in Fullerton early Sunday morning. The blaze, on Nutwood Avenue just across the street from Cal State Fullerton, was reported shortly before 6 a.m., according to deputy fire chief Julie Kunze. 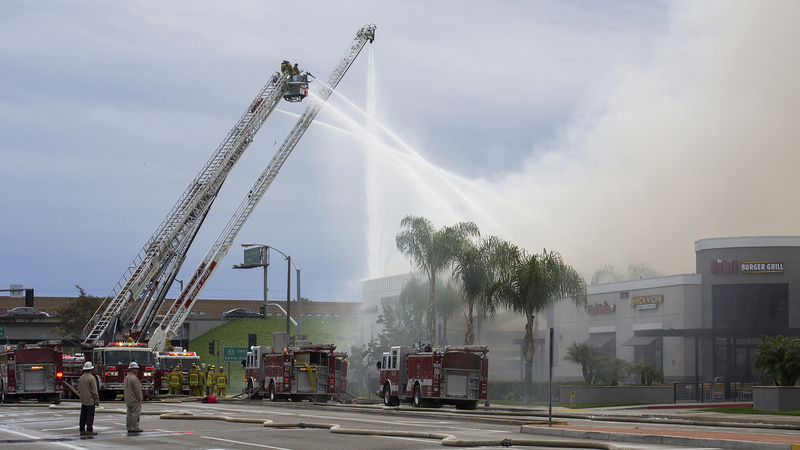 About 80 firefighters from the Fullerton, Brea, Anaheim and Garden Grove and Orange County Fire Authority fire departments assisted in taming the blaze, Kunze said. The damage was believed to be confined only to Dillon’s, although smoke and ash may have made their way to a pack of surrounding restaraunts. Kunze said it may take a few days to determine the cause of the fire.